Seattle. 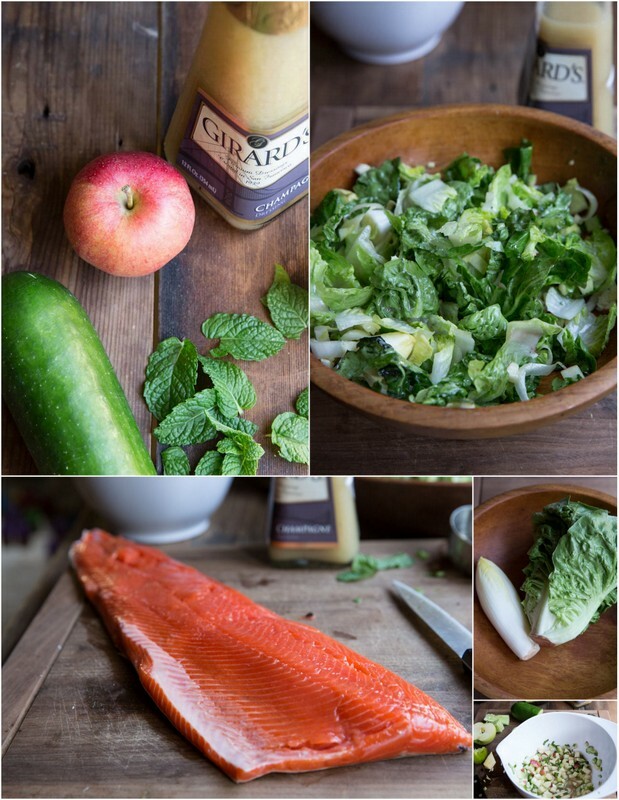 Salmon, salad dressing and sweet honey crisp apples. When I think of Seattle these are the flavors I’ll remember. After entering this watermelon wedge salad recipe into a contest I was chosen for a trip to Seattle with Girard’s Dressings (you know the salad dressings with the triangular bottles and gold foil wrapper). The 5 winning bloggers got to attend the International Bloggers Conference and to experience the city for a few days. It was such an incredible adventure that I’ll be forever grateful for. The ladies who joined me made the trip especially wonderful (Amy, Danelle, Julie, Kim, and Ruthie). 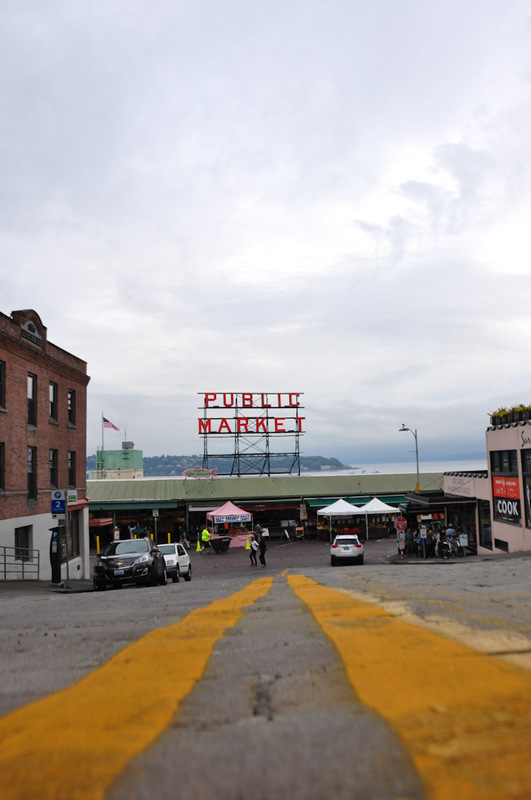 To read more about traveling to Seattle – where to eat, views not to miss, and what to pick up at the market, visit my full post – Seattle Foodie Trip. Before I get to the details of the trip I have to tell you about this salmon. Just when I thought the competition dividends were over (which I felt undeserved for all of!) a box of fresh salmon from Pike Place Market arrived on my doorstep. Shortly thereafter I was inspired to make this recipe for dinner. 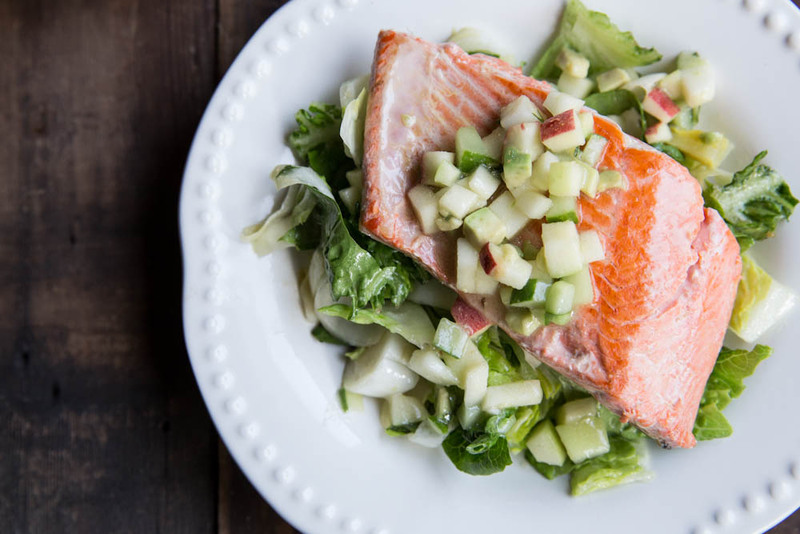 I couldn’t spoil the salmon by doing much other than searing it for just a few minutes on each side then a simple seasonal salad to go along with it seemed perfect. I made a quick and easy salsa/chutney from honey crisp apples (just like I enjoyed at the market in Seattle), cucumbers, avocado, and Girard’s Champagne Dressing. The salmon was the show stopper but the adjacent salad was the perfect compliment. Plus, 15 minutes or less and dinner was ready! Back to the trip… like I said, it started with a competition using salad dressing which took me to the beautiful city of Seattle. My Seattle experience with Girard’s started with a sweet limo ride from the airport to downtown. 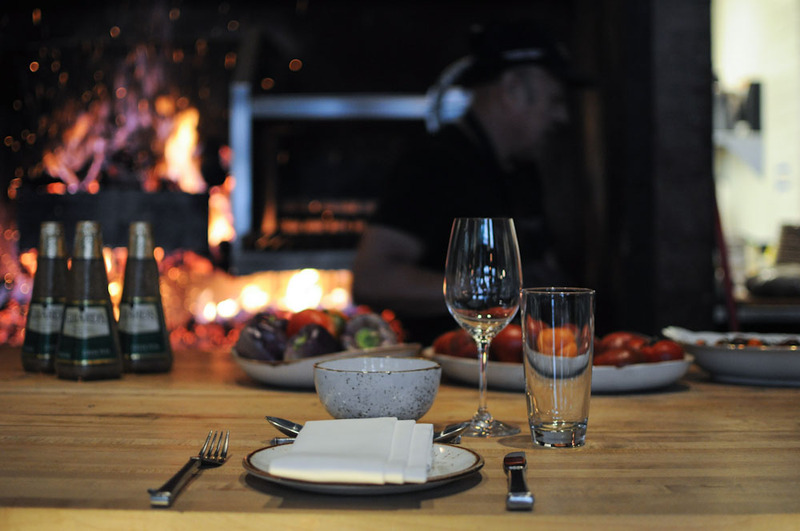 After a little rest at the hotel, I was whisked off to dinner at Millers Guild, where I had a meal so good I won’t even attempt recreating it at home (those are the best meals, right?!). Every course incorporated one of the signature Girard’s Dressings and we all couldn’t believe how creative the chef, Jason Wilson, got… Wagyu Beef Tartar with Girard’s Greek Feta Dressing, Black Cod Marinated in Girard’s Chinese Chicken Salad Dressing, Grilled Lamb with a creamy romesco sauce including the Girard Sundried Tomato and Artichoke Dressing and even dessert – Plum Sake Sorbet with Girard’s Raspberry Dressing and Girard’s White Balsamic used in a Peach Melba. Just Brilliant. Also that evening, I tried goeduck or the first time, which was made into long thin strands of linguini slightly more chewy than pasta but every bite filled with intrigue. 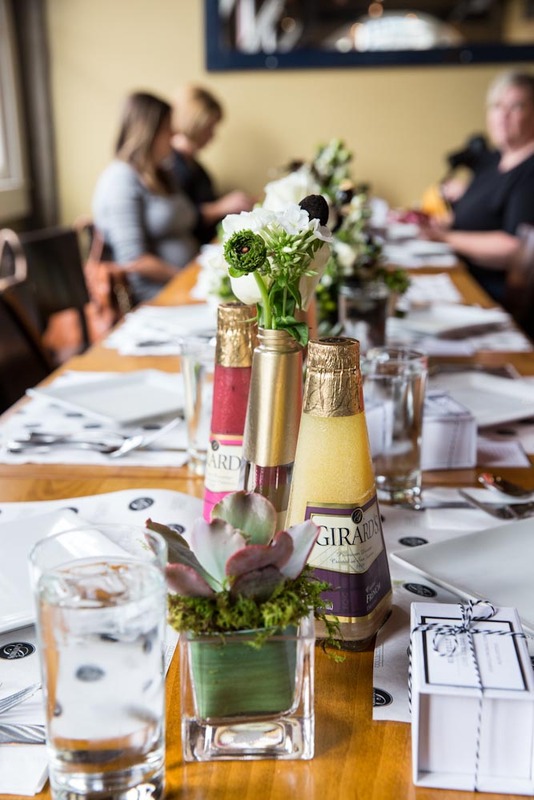 The Dinner was dreamy and my mind was blown away with all of the creative ways to use salad dressings! Our second day in Seattle was definitely one for the books. 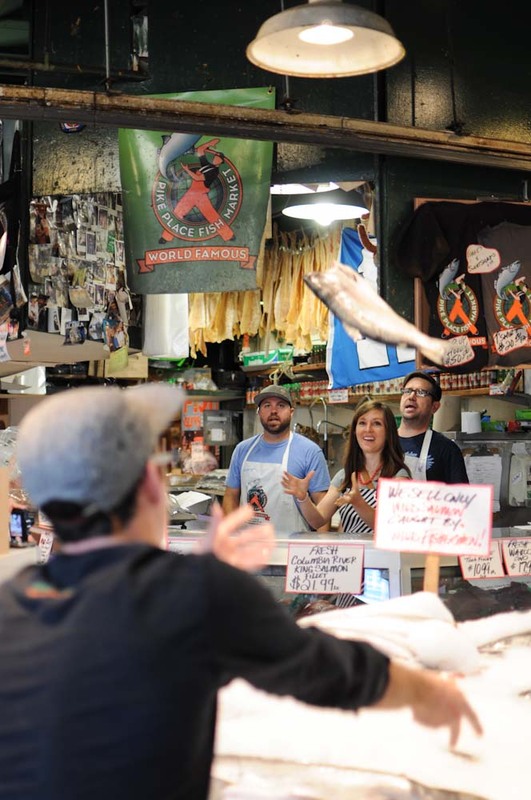 A quick walk over to Pike Place Market and we found ourselves at the acclaimed fish stand. 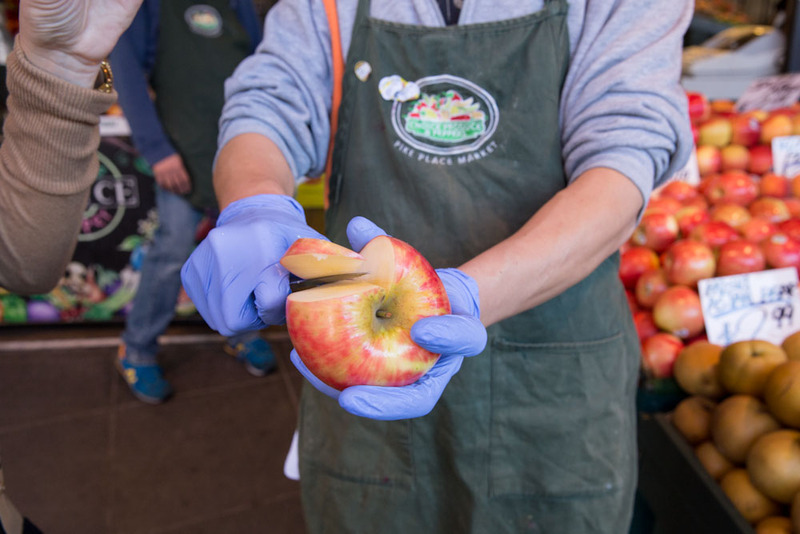 If you’ve been to Seattle, or even if you haven’t, you’ve probably seen the guys at the market tossing fish to one another gaily, with the crowds around them observing the sea-side tradition. Well, we weren’t just observing on this day, we actually caught the fish, tossed right into our bare hands. Our sleeves were rolled and aprons on but the splatter certainly got most of us. We shouldn’t have even bothered to rinse off because after our fish catching we went to Matt’s in the Market with the owner Dan to learn how to fillet salmon and break open crab. It was a messy, learning adventure but once I embraced it, I enjoyed every minute. Dan taught us to let the knife do it’s job as we slid it through the fish to remove bones, not sawing our way through the precious salmon. And I had no idea how satisfying it would be to break apart a whole crab, remove the “crab butter” and sectioning of the legs to get the most meat out of the crab. We even got to have a few bites, right from the crab as we broke into it. 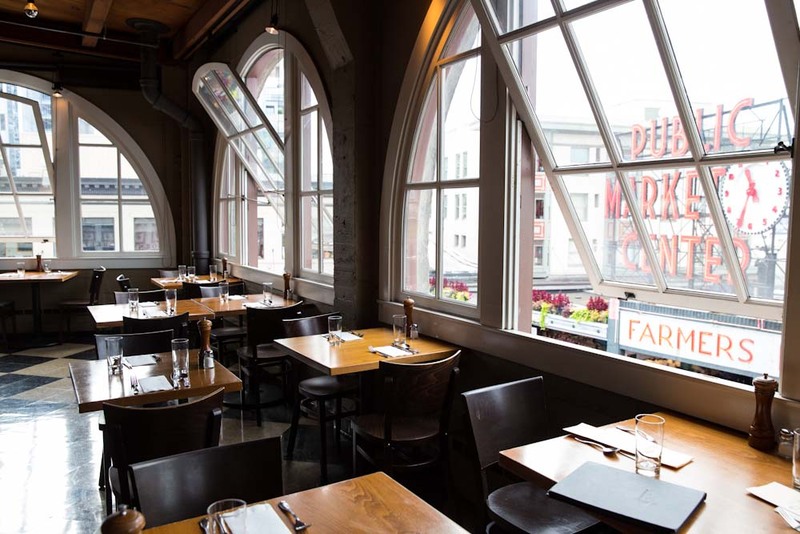 Our Seattle experience with Girard’s ended with a fabulous seafood meal. We sat down at a communal table at Matt’s In the Market and immediately dug into the beautiful fresh crab we had just broken apart. 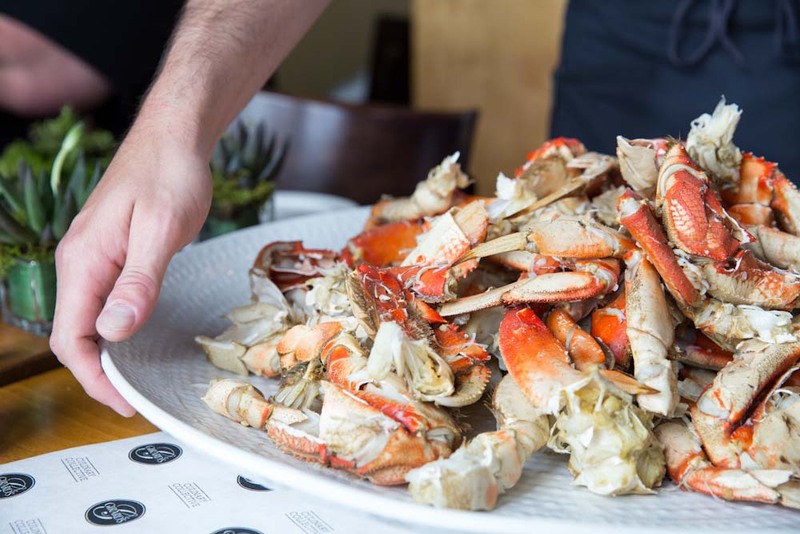 Sweet as lobster, the crab refused any butter which might have defiled it’s pure, fresh flavor. I could have filled up on crab alone but I will never turn down mussels and clams when I’m this close to the ocean. Dan (the chef/owner at Matt’s) makes the best mussel dish I’ve ever had, with a slightly spicy broth hiding small chunks of chorizo and floating a few crusty pieces of seasoned bread ontop. And the mussels… they were bigger, and fresher, and better than any others. I will be dreaming about that meal until I can return to Matt’s in the Market one day. The rest of the trip I attended the IFBC Conference and and snuck in a few times of solitude to enjoy the city, drinking coffee, walking aimlessly around the fresh market stalls and agenda-less photographing. These are the things that fill my soul but I hardly have time to do these days. Restoration and inspiration always ensue after times like these. I’m so grateful for Girard’s and their special treatement to me, an average blogger who loves a good salad. I’ll never regret making time to create that little watermelon wedge salad and enter a contest that ended up taking me to a newly favorited city, meeting new friends and discovering the world of seafood and salad dressing. Start by chopping the apple, cucumber, and avocado. Place them all in a bowl and add in chopped mint, lime juice, and the 1/4 cup of salad dressing. Stir to combine. Mix the chopped lettuces with the extra two tablespoons of dressing. Add in 3/4 of the apple mixture and toss. Taste and add more dressing as needed. 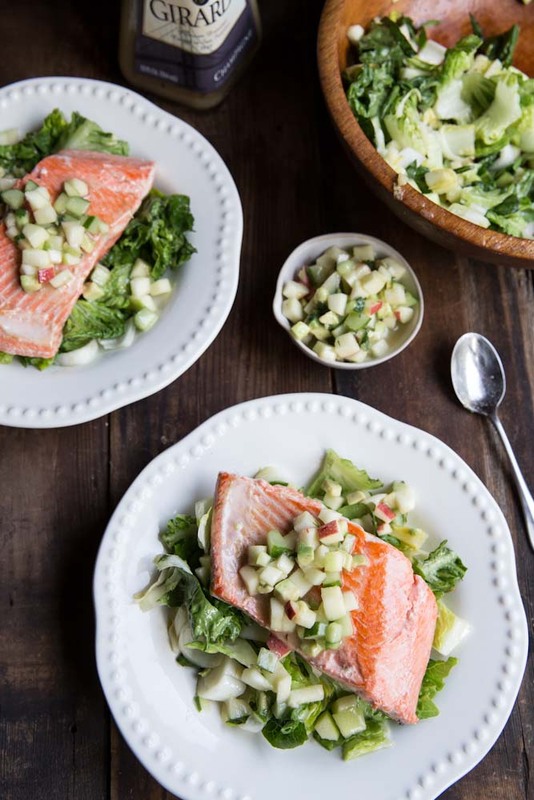 Serve salmon on top of greens then add more of the apple salsa to the top. Garnish with extra mint. Cooking times for salmon depend on the thickness of the fillet. For thinner fillets cook for a shorter time, then continue to cook the thicker portions. You want the middle of the salmon fillet to be pink. Sounds like a fun time. And wow, love everything about this recipe. Thanks Kalyn! And I love hearing from you but I miss seeing you! Hope you are doing well!! This looks amazing Becky! And such a great idea to include apples to bring together the whole Washington experience. Thanks so much Danelle! What a fun trip we had!! So this is a completely yummy recipe, but as I sit and look at the counter I have to know . . . where does the lime juice go??? Kelly, sorry for any confusion. The lime juice goes in the salsa! I made your recipe last night, I grilled the fish, added finely diced red bell pepper and green onions to the salsa along with my homegrown apples and served it with jasmine rice. It was delicious! Thanks! OH wonderful!! So glad you enjoyed it Christine!